This is a simple term in imports and exports - THC. 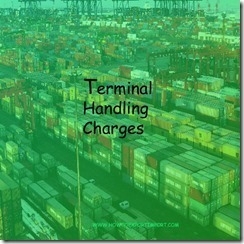 What is Terminal Handling Charges in Imports and Exports? Who pays Terminal Handling Charges? 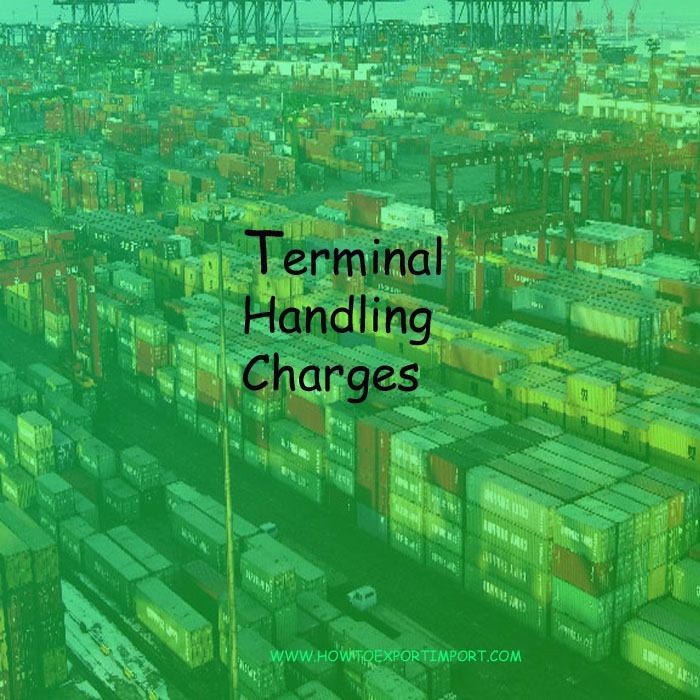 Terminal Handling Charges – THC. Terminal Handling Charges (THC) is the charges collected by terminal authorities at each port against handling equipments and maintenance. THC varies port to port of each country, as the cost of handling at each port differs one to another port, depends up on the total cost of port terminal handling at each location. Normally, Terminal handling charges (THC) for exports is collected from shipper by shipping lines while releasing Bill of Lading after completion of export customs clearance procedures. Let the sale contract between buyer and seller be anything, the THC at port of loading need to be paid at load port only. As per terms of delivery, if buyer has to pay such load port THC, such THC is paid at load port by either buyer’s representative or his authorized agent. In the case of shipments moved from inland destinations other than sea port, the said THC is collected at same location while releasing bill of lading by carrier. The import terminal handling charges is collected by shipping carriers at the time of issuing delivery order to consignee to take delivery of goods. You may also read: Is THC same in all ports? What is the difference between THC and IHC? Would you like to add up more about Terminal Handling Charges? Share your experience on Terminal Handling Charges. Comment below your thoughts about THC – Terminal Handling Charges. mrDman: On 10 July 2015 So, THC is one of the local charges or a surcharge fee??? Thank you!!! Reza Rezaei: On 20 April 2016 I would appreciate you if would help to inform me my below questions? After unloading the containers at final sea port of india ,the buyer reject to pay and discharge the containers and release the goods , And now the shipping company wants its containers back . But i don't know , Who is exactly responsible for the cost of detantion at final port ? Can shipping company claim detention from buyer ? Or the shipper ? By now it is not worth it to ship back the goods So How can i distroy the goods at buyer's port in india and return the empty containers to shipping company as soon as possible to avoid of any demurrage? Rahul Bhurat : On 10 August 2016 As im dealer for the tyres called as BKT (balkrishna tyres) ie offroad terrain tyre i wanted to export it to dubai.so can u kindly give me the idea how excatly the export taxes and duties are applicable. Satish Gaidhani: On 25 March 2019 I need formula to calculate THC.